This fireplace embodies the decadent spirit of the French Baroque style, and would grace a stately, luxury interior with its majestic size and dazzling splendour. 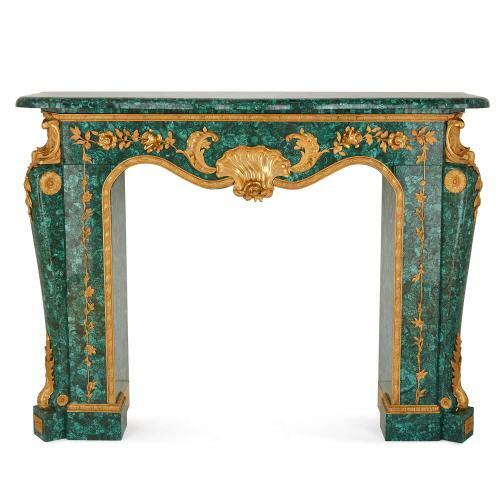 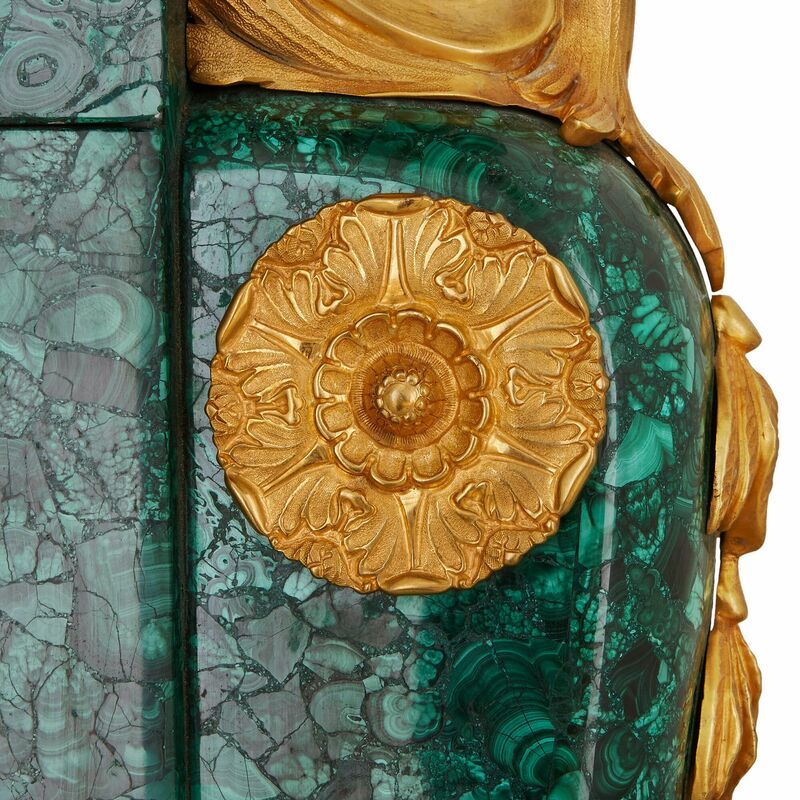 This fireplace is a large, statement piece, and features the striking, banded emerald-green tones of malachite, the semi-precious stone which covers the entire surface of the work. 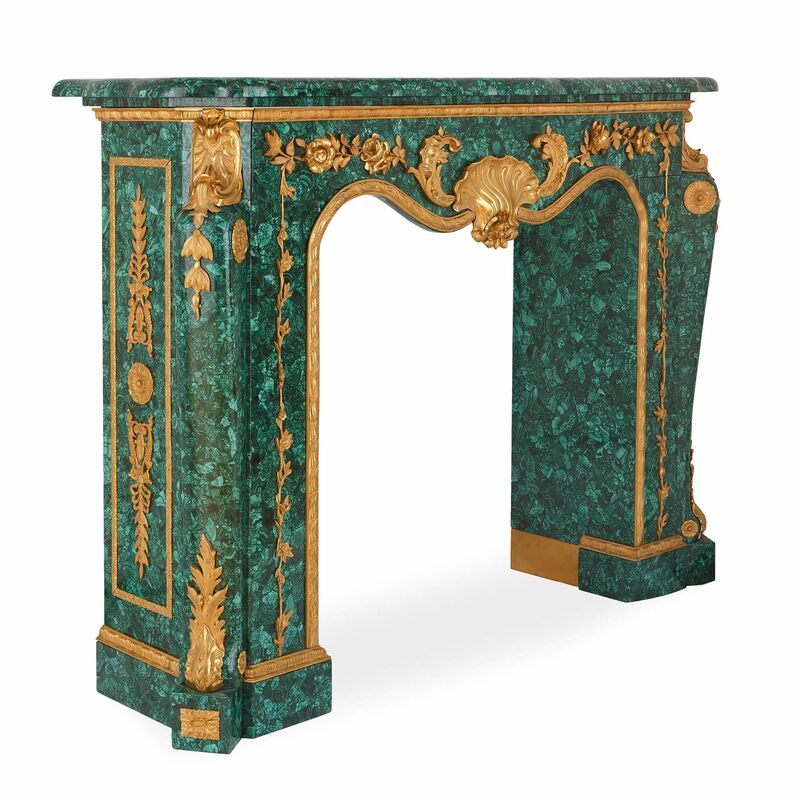 Uncompromisingly decadent, it is easy to imagine how this fireplace would sparkle and gleam like a jewel with a fire lit within its hearth. 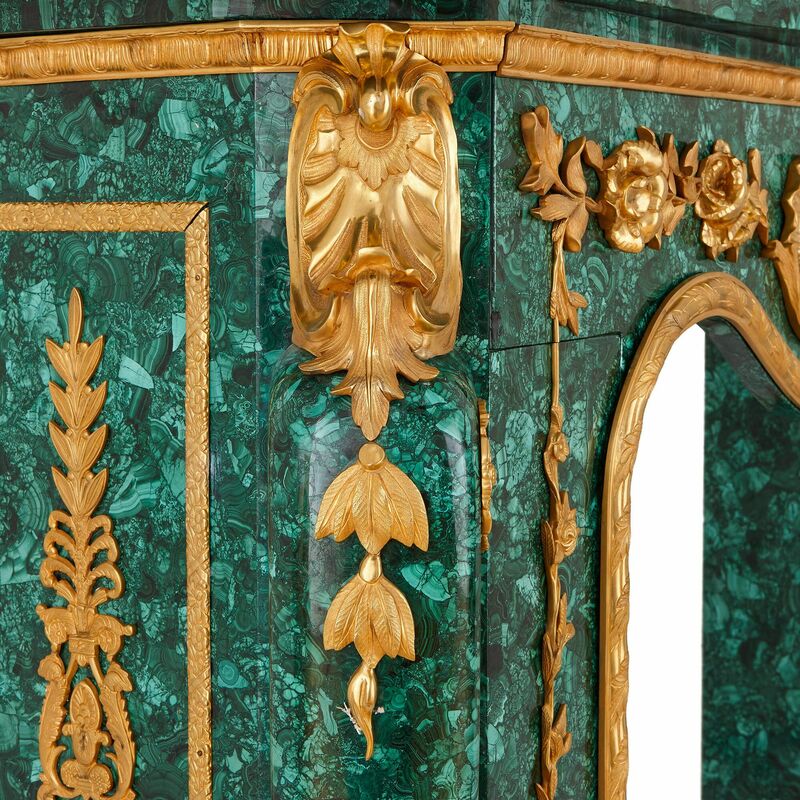 The fireplace is of typical horse-shoe form, and features tapered pilasters to either side which are mounted to the top and bottom with acanthus-leaf form ormolu mounts. 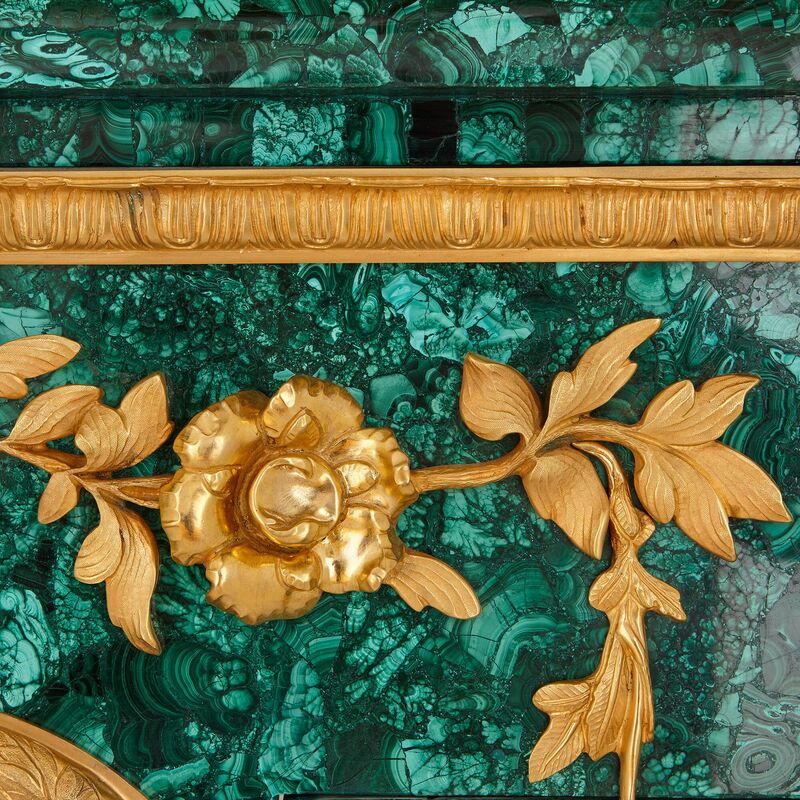 The fireplace also features an egg-and-dart ormolu frieze running around the top and base, as well as around the curved interior. 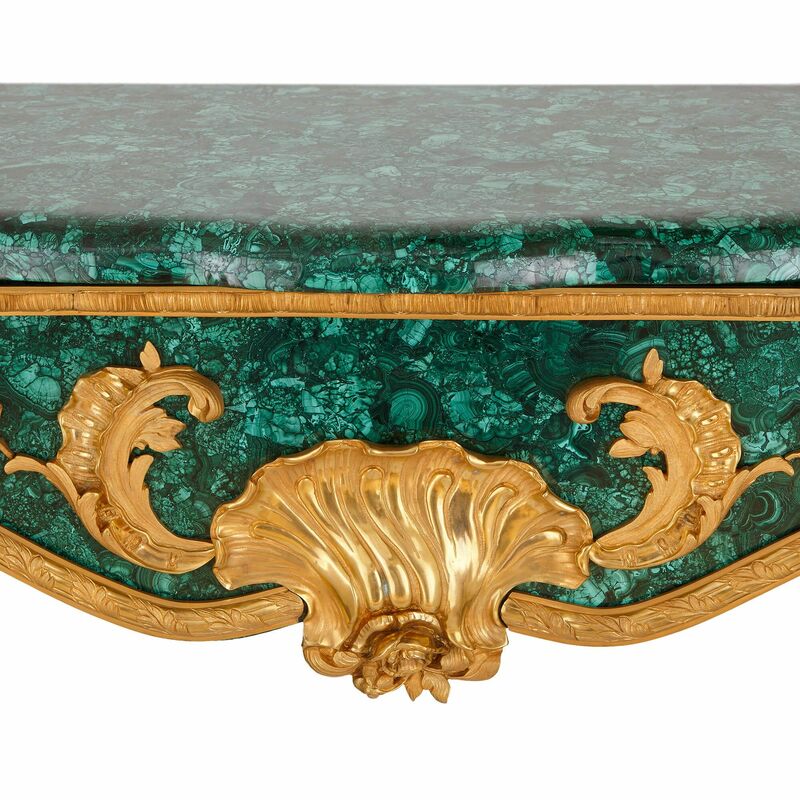 Taking pride of place at the centre of the design is a large, ormolu shell, surrounded by c-scrolls and exceptionally intricate roses.